STARKVILLE, Miss. 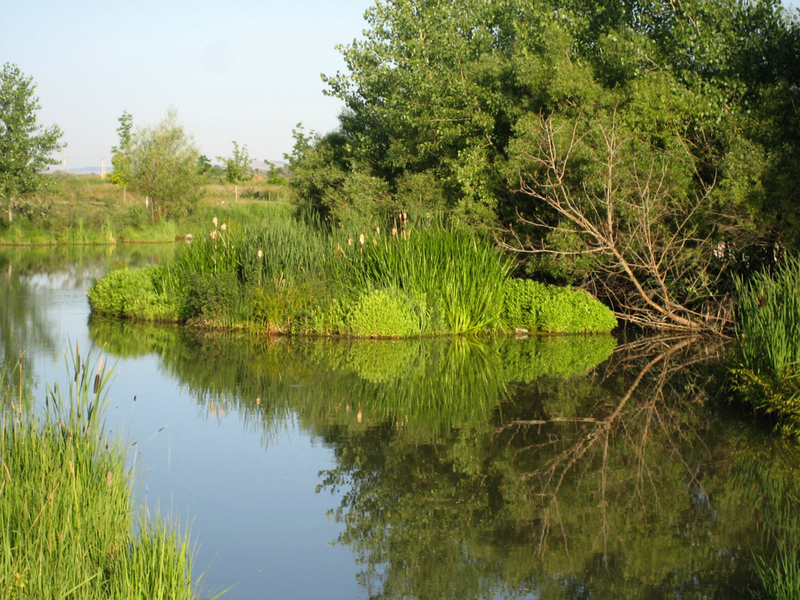 -- Floating islands are increasingly popular as a way to provide attractive centerpieces in ponds while improving water quality. This floating island has a polymer-fiber platform to support living plants above the water’s surface while plant roots penetrate beneath the floating mat into the water, greatly expanding the island’s surface area. Floating islands consist of a polymer-fiber platform anchored in a specific location to allow living plants to grow on the water’s surface. Plant roots penetrate through and hang beneath the floating mat into the water. Plants can greatly expand the island’s surface area. 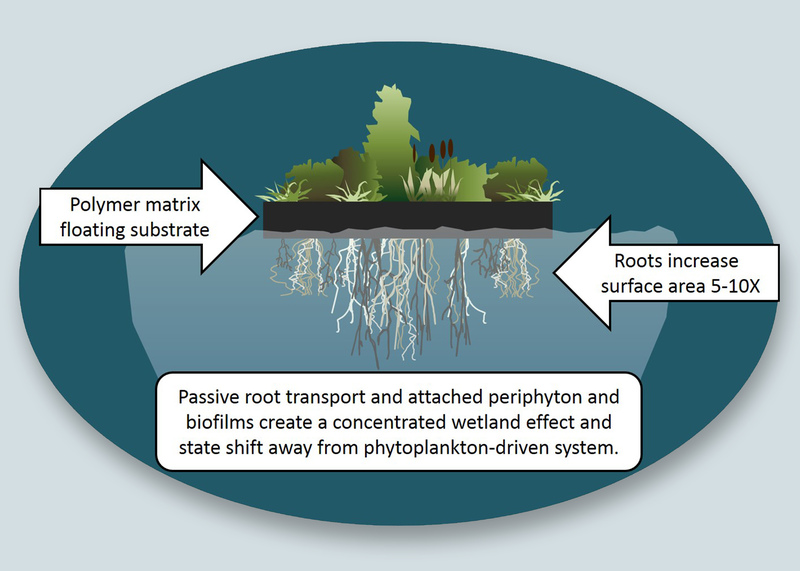 Roots become an attachment surface for microscopic aquatic plants (periphyton) and other slimy forms of life (biofilms) that are important to the pond. The periphyton community acts like a natural wetland to trap fine suspended particles and remove nutrients. Because the plants and periphyton are attached to the island, nutrients are stored away from free-floating phytoplankton, making the water less green. This process also helps keep nutrients in the pond instead of being lost downstream during overflows. By removing nutrients and causing sediments to fall to the bottom, the islands maintain better water quality, increase water clarity and may improve oxygen availability in deeper water. 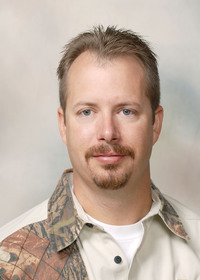 Recent research from the Mississippi State University Extension Service has even shown these systems can increase fish production. Our study used eight small ponds with bass and bream stocked like typical Mississippi farm ponds. Four ponds had floating islands installed. After about two years, we drained the ponds and collected the fish. We found that ponds with floating islands held about 20 percent more fish by weight. Two general types of islands are available. First is the original island that relies on passive contact with the water to do its work. In other words, it just floats there and looks like an island. Second is the newer design that uses active circulation of water provided by a compressor on the shore, air tubing and a direction airlift system. Air bubbles released in deeper water rise to the surface, creating a current that flows across the island. This design moves water to the plants and periphyton. Although research found that islands help increase fish production, you probably should not run out and buy one just to grow more fish. These systems are expensive, and the modest increase in fish production would likely not be worth the investment. Similar or greater increases are easily achieved using water quality management, including fertilization. However, if you are considering a floating island to improve water quality or just to add a new feature to your pond, it may come with the added benefit of increasing the poundage of fish your pond can produce.